Getting Rubbed the Right Way - Together, We Make Memories! No, this isn't meant to be a Valentine's Day instructional, and yes, it is family rated. Actually, today's subject is rubbings, brass rubbings, to be more precise. 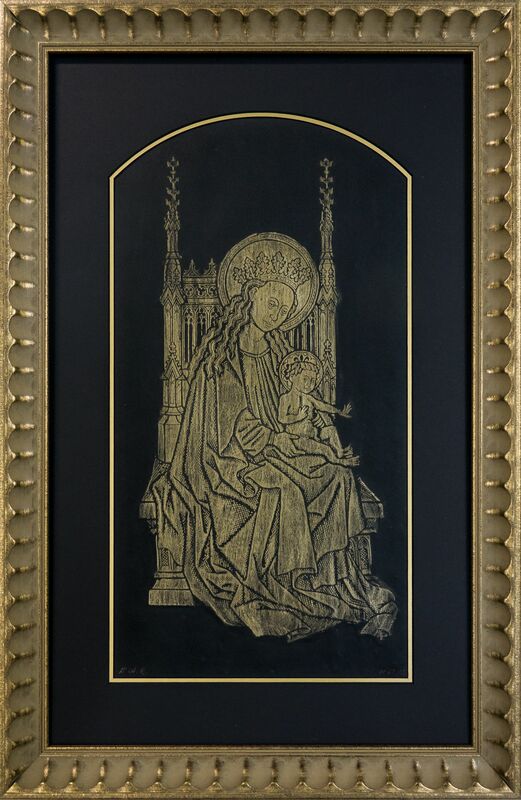 The technique involves laying a piece of paper over a brass plate most often found in churches or chapels, and then rubbing the surface of the paper with a waxy metallic crayon, so the pattern is transferred from the"Brass" onto the paper. The technique first appeared in the early thirteenth century in continental Europe, and even today is used as a contemporary historical resource for medieval research. Plus, they're fun to make.